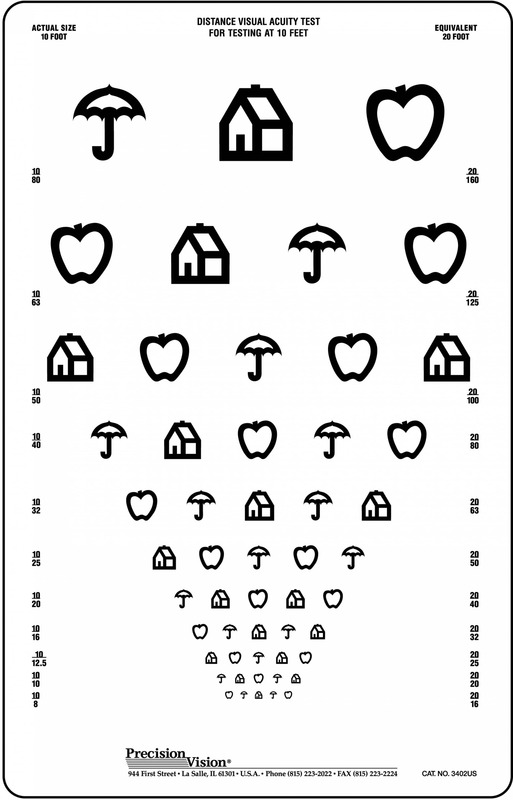 School nurses have a hefty job with school vision screening and pediatric vision testing. 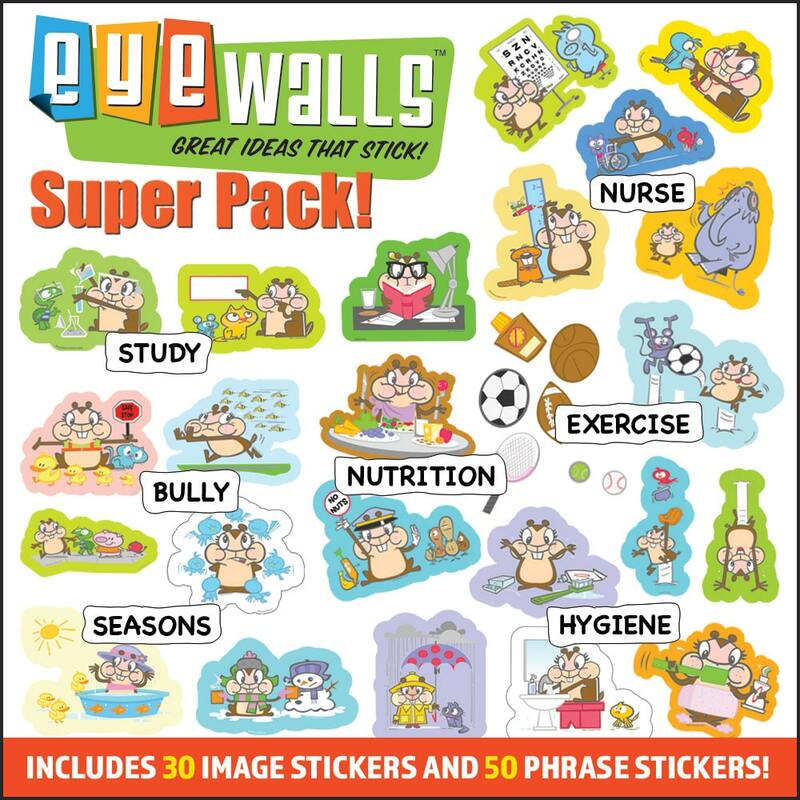 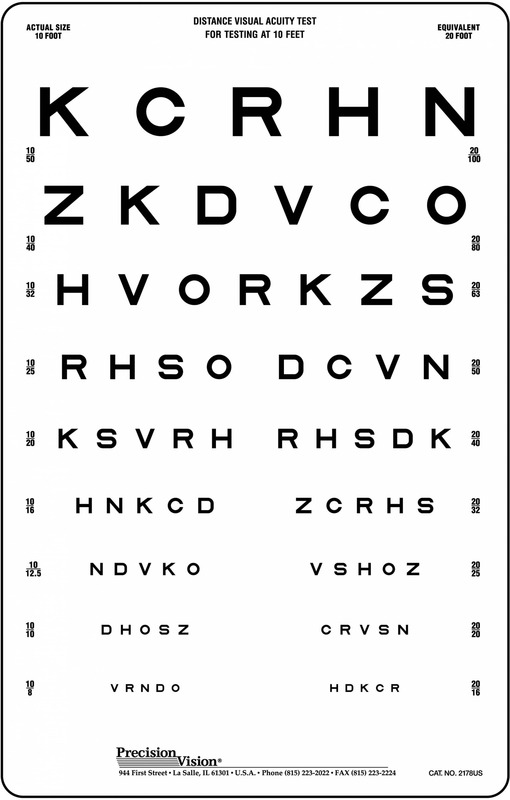 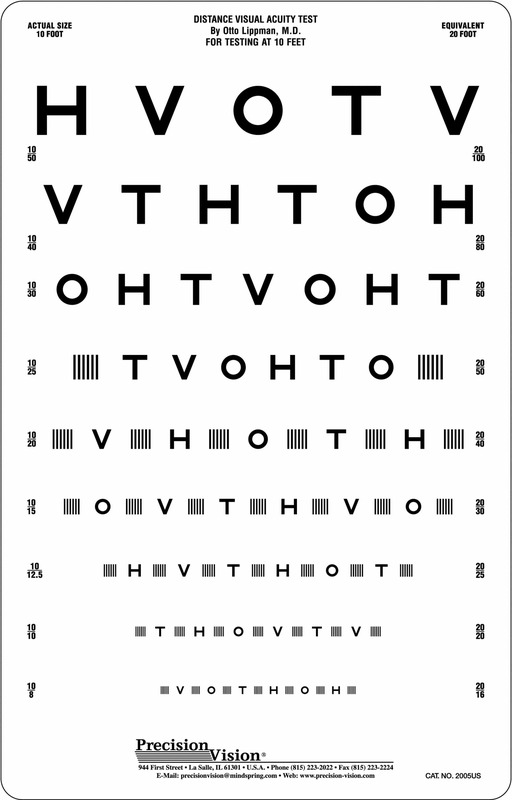 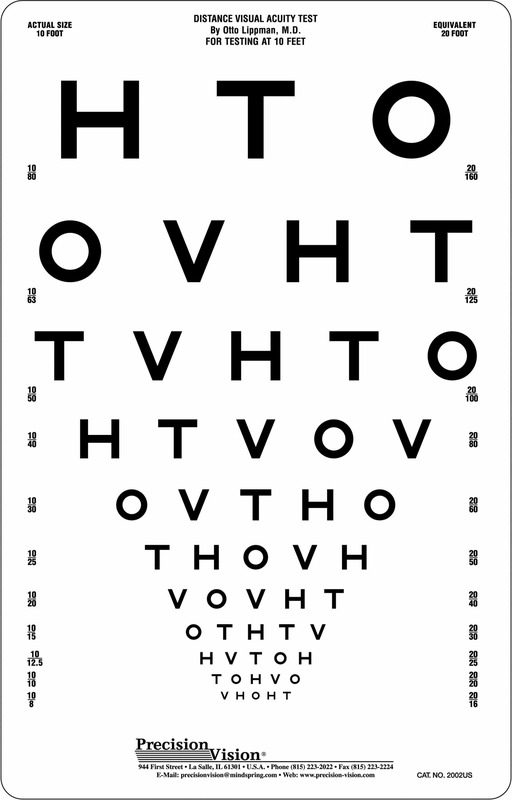 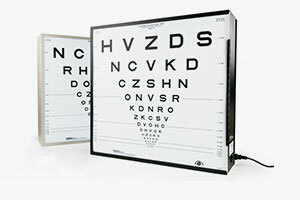 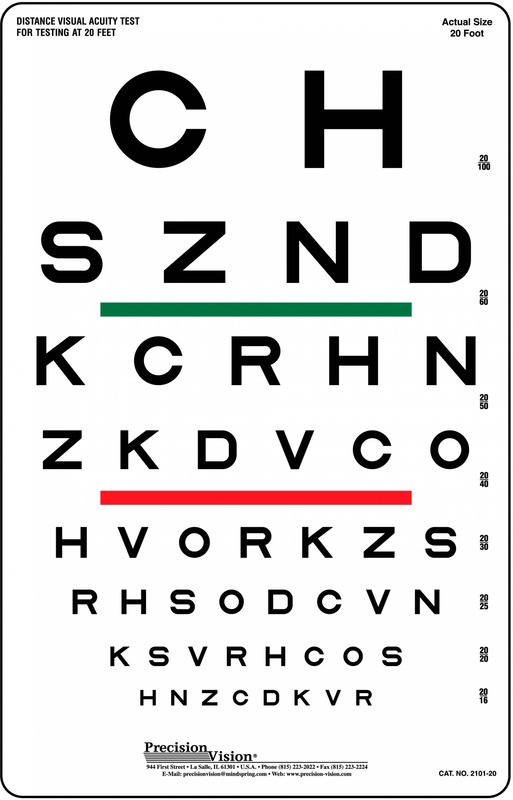 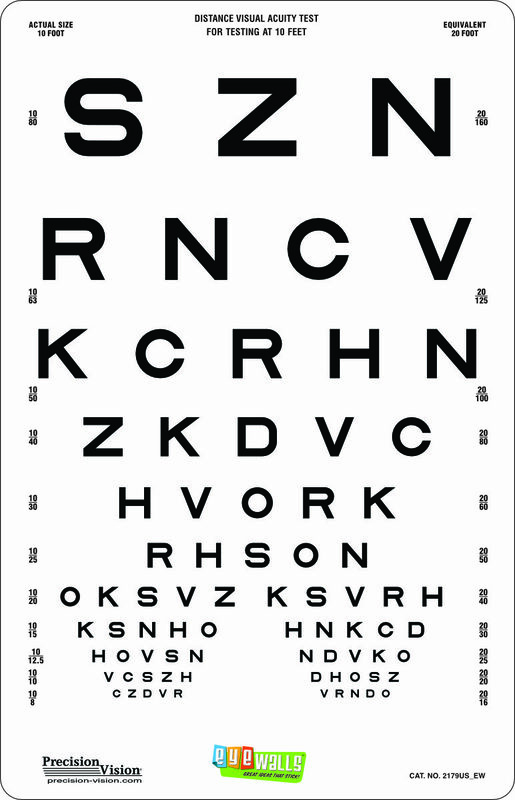 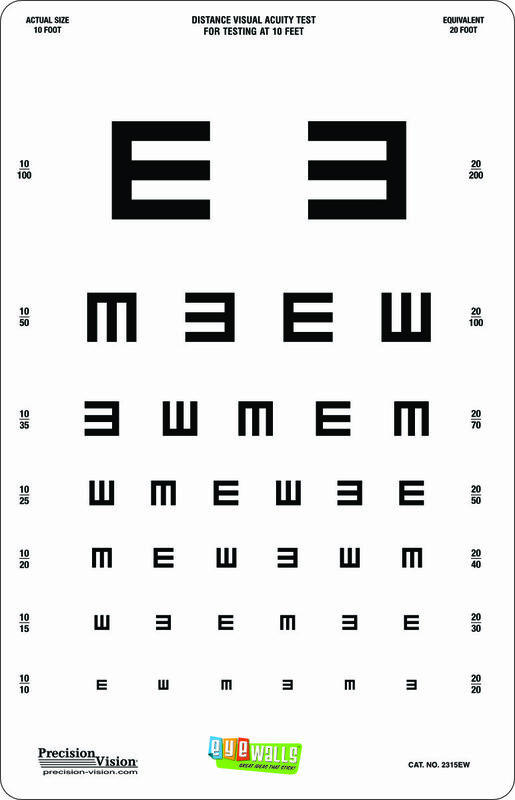 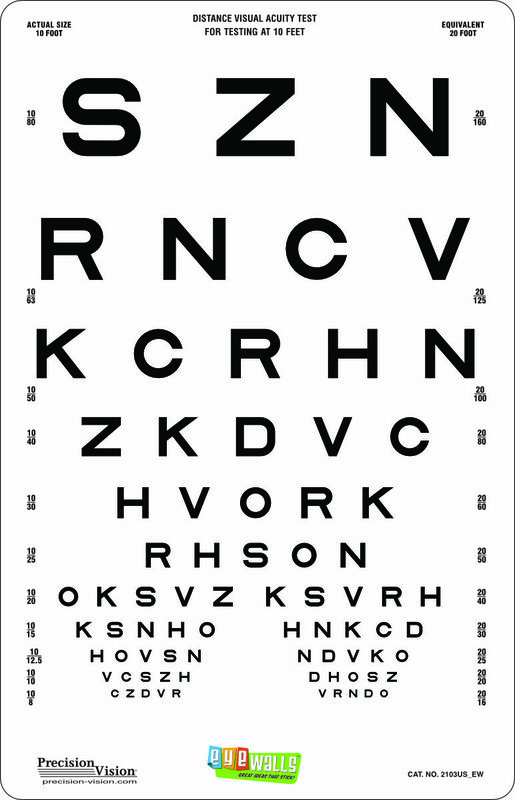 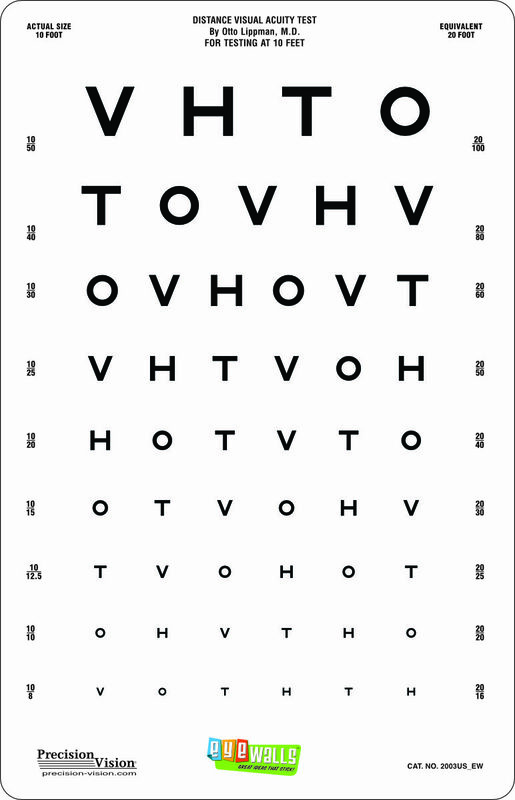 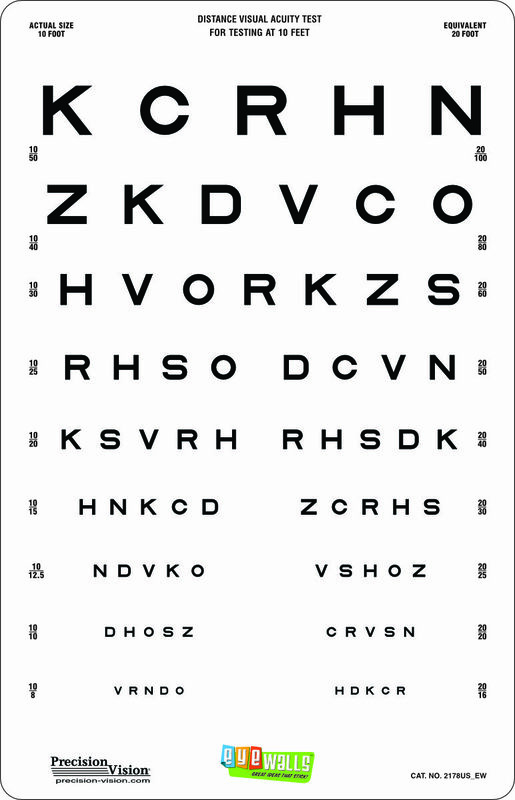 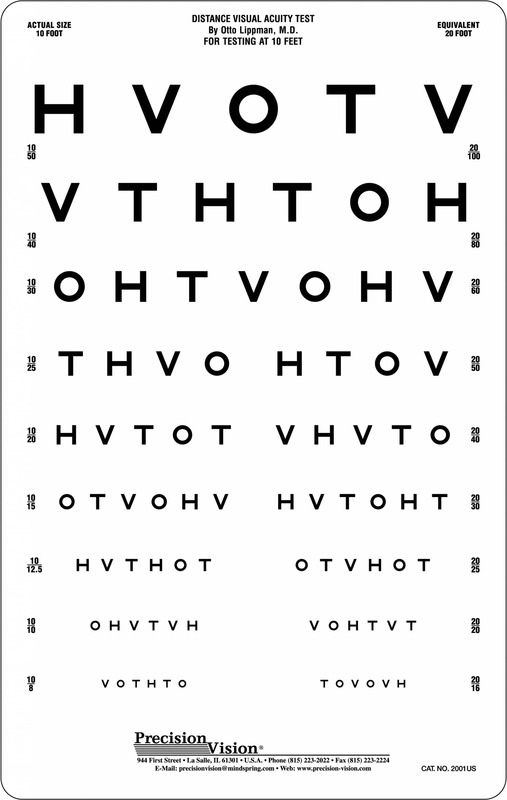 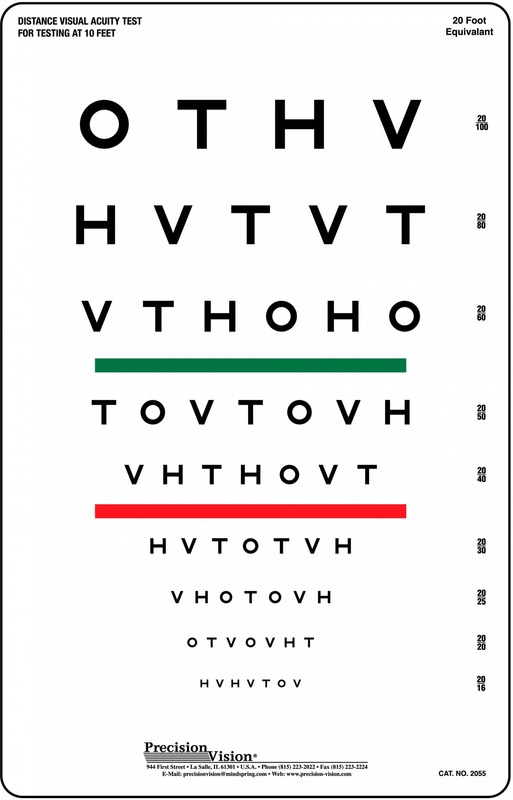 Eye tests for children are important and we have many tools to make your job accurate and efficient. 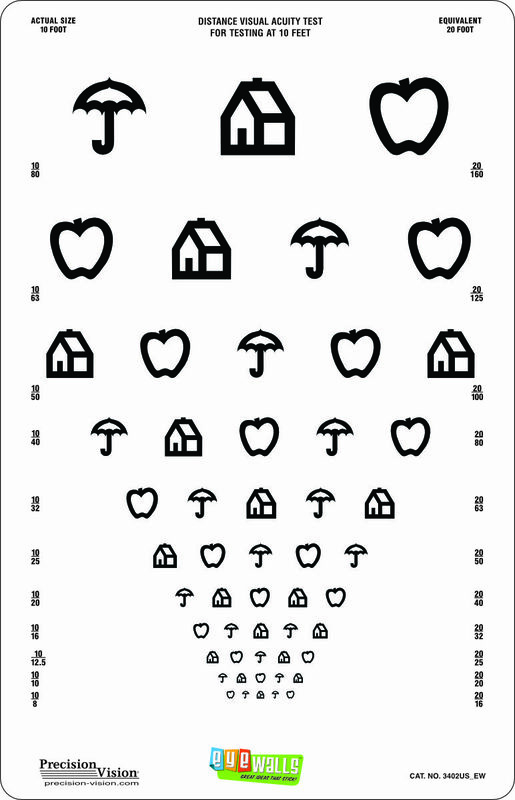 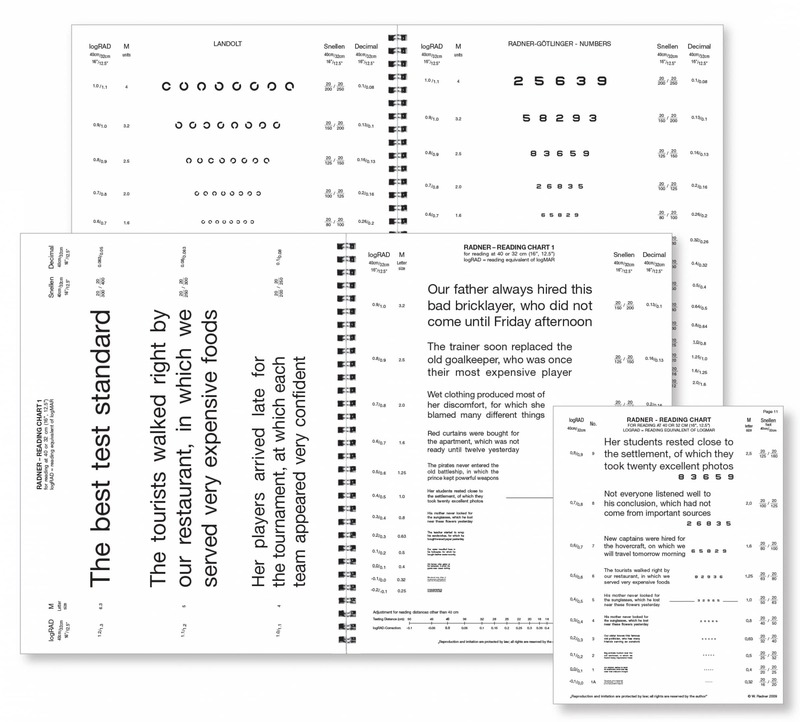 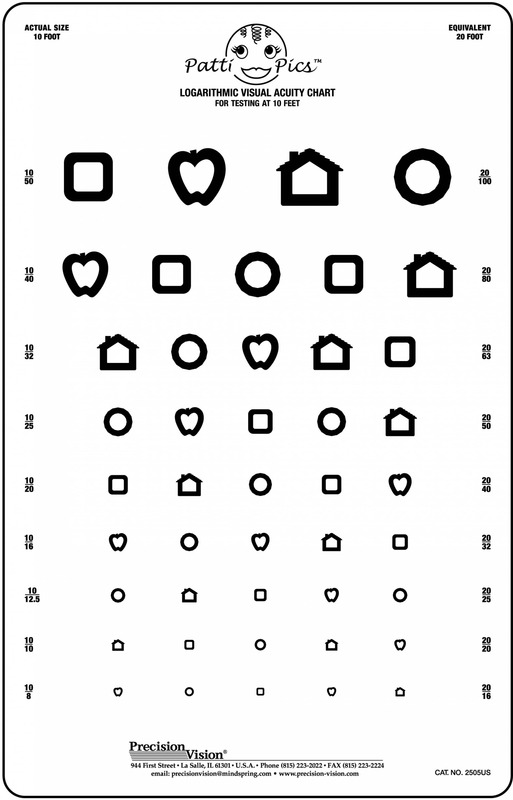 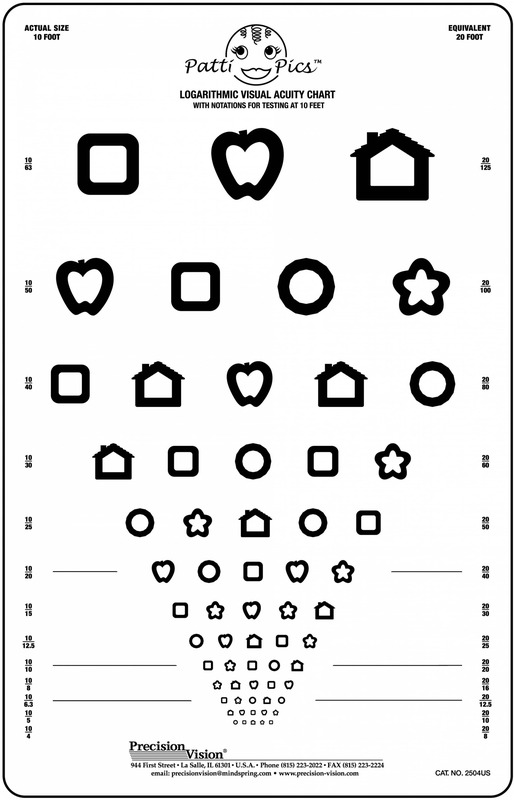 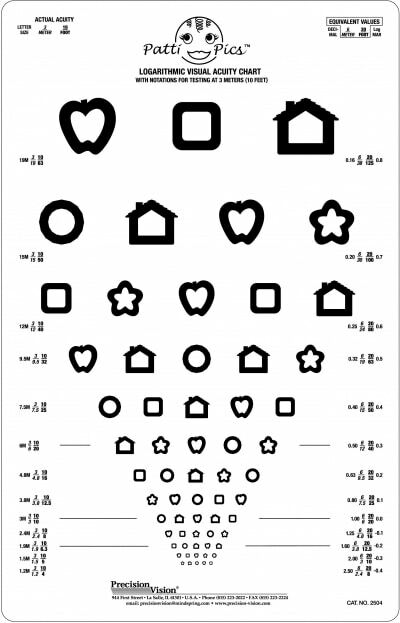 With school vision screening for children, recognition of letters and numbers is not trivially easy. 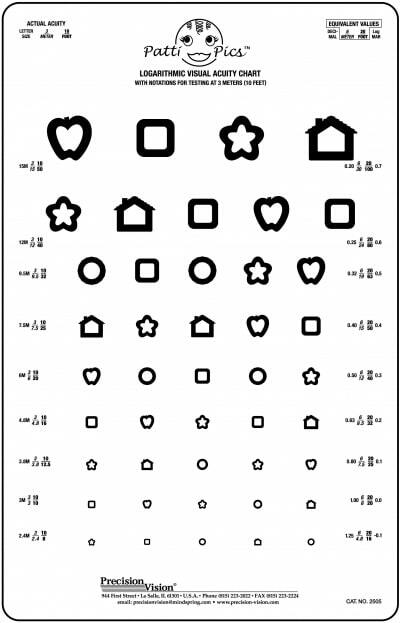 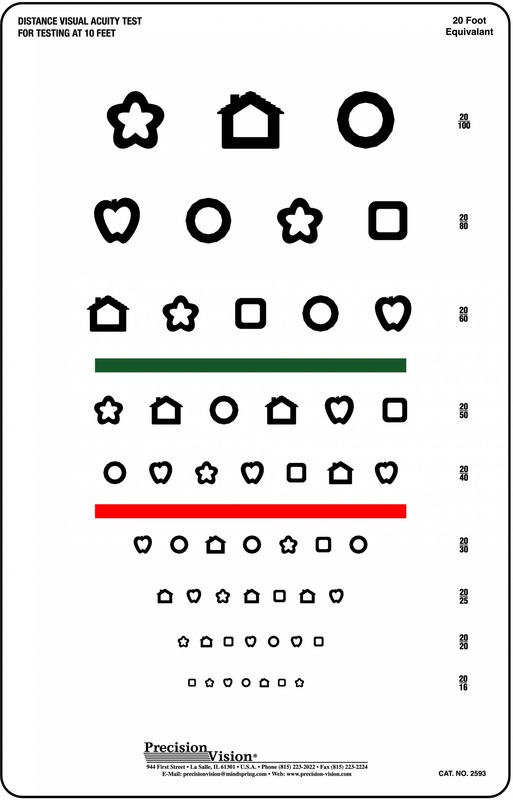 Using these symbols may underestimate their acuity by measuring a combination of acuity and cognitive development. 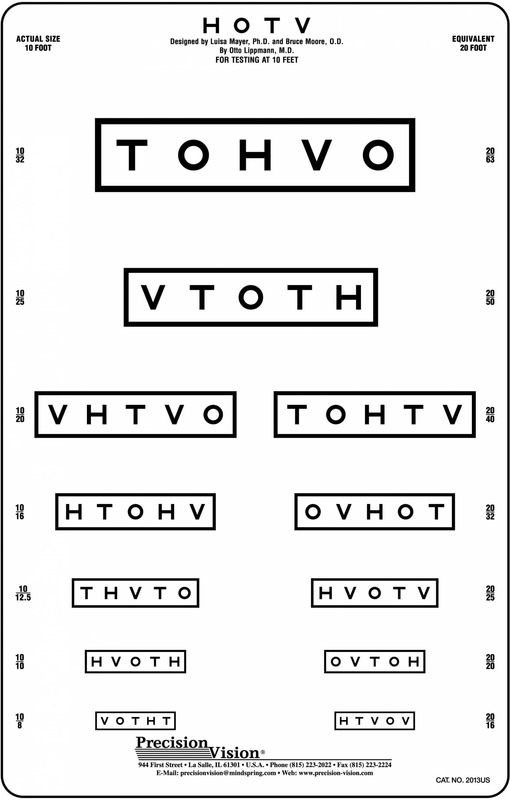 A simplified chart with only the symmetrical letters H, O, T and V (hotv) may overcome this problem. 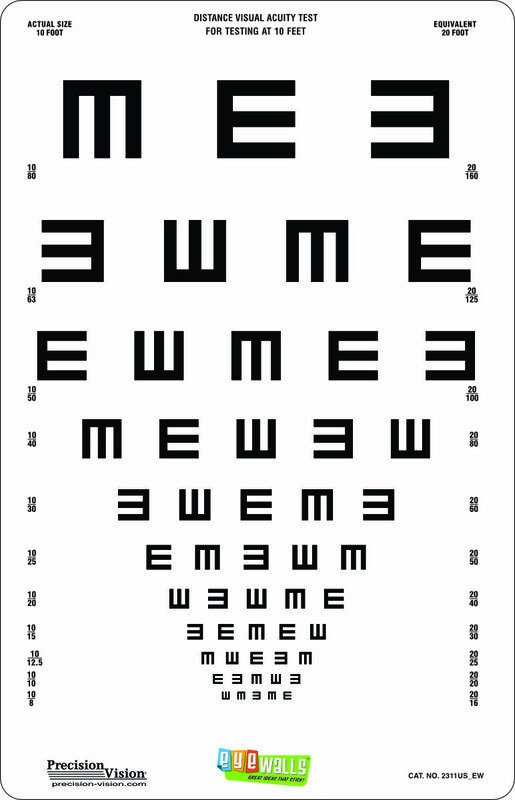 Another solution is the use of directional symbols, such as tumbling E’s and Landolt C’s. 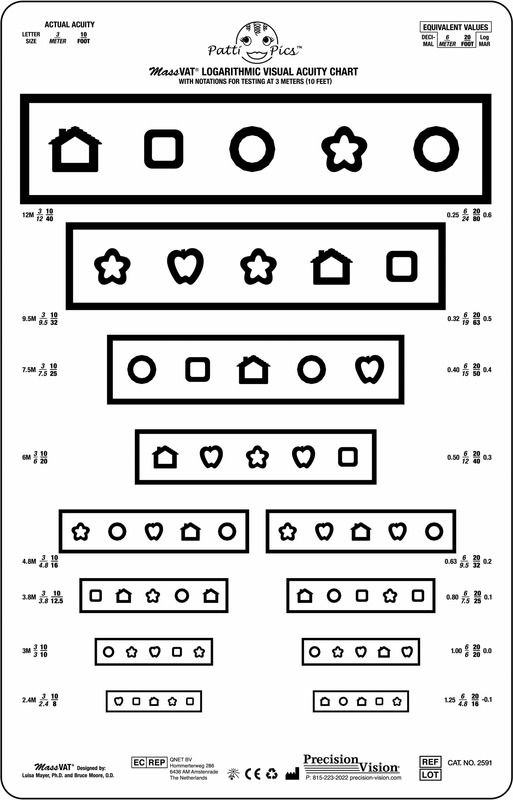 Here the child does not need to name the symbol, but merely indicate its direction. 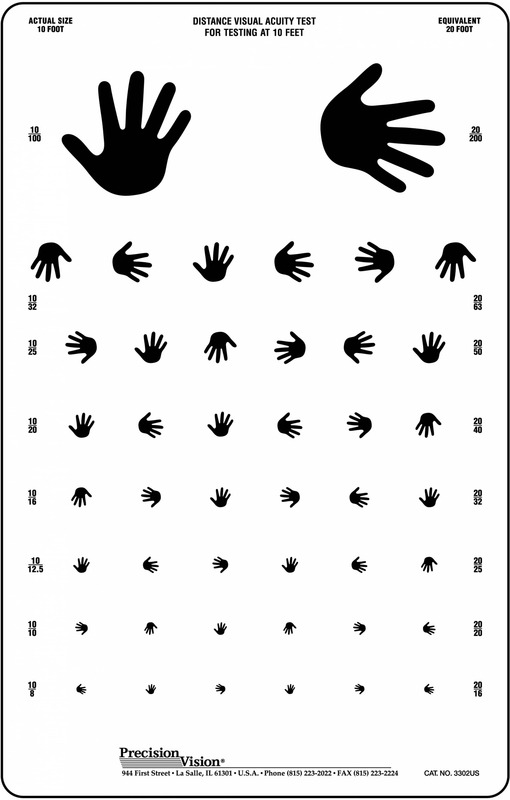 Pictures are a third option. 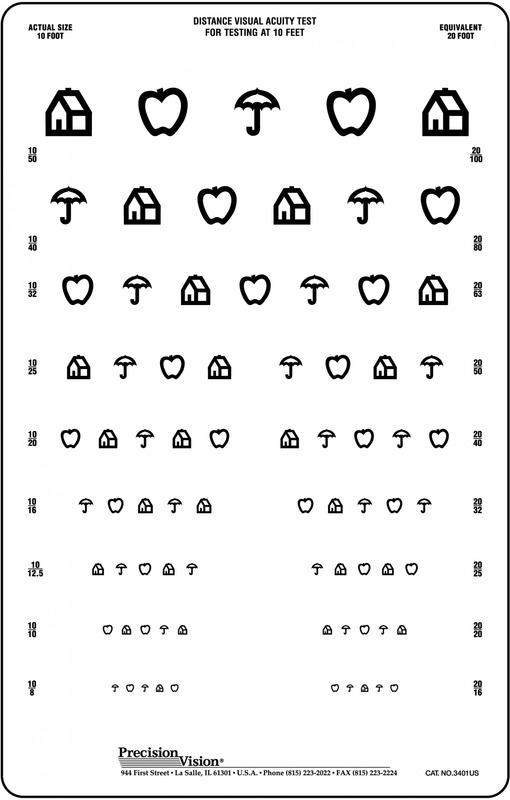 Precision Vision has developed the Patti Pics symbols, a series of 5 stylized pictures, designed on Snellen’s 5×5 grid and calibrated for equal recognizability with Sloan letters. 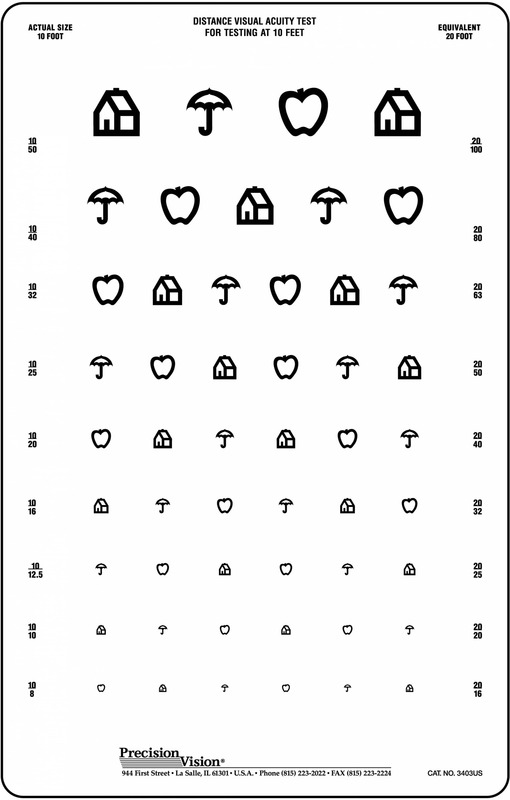 For children that are shy in naming the symbols, matching to flash cards can again be used.